Sadly, many dogs are abused, neglected, abandoned, or forced to live in mills where they have little or no contact with people or other dogs (other than during mating). Many, many dogs end up in rescue because they are impulse purchases at pet stores or from newspaper ads. The cute puppy grows up and isn't as cute anymore, the newness wears off and the kids for whom the puppy was purchased stop taking care of it, it chews up the owner's shoes or the owner did not research the breed. The list of excuses people give for giving up a dog is nearly endless. Fortunately, for some of these dogs there are men and women willing to take them in and give them loving foster homes until they are ready to be placed with their own family. Since rescued dogs have generally from under less than ideal circumstance they may have a variety of problems with first coming to a foster home. They may not be spayed or neutered, they may have heartworms, they may have other parasites, they may not have vaccinations or they may have emotional issues from lack of contact with humans or animals or abuse/neglect. When a dog comes into a responsible rescue, it will be taken to a vet for tests and any medical care that is necessary. The dog will stay in it's foster home until it is healthy both physically and emotionally and ready to move to it's new permanent home. The foster home will determine what type of home is best for each dog on an individual basis. For example, some dogs may not do well with other dogs or with cats. In this case, the foster family will want to place the dog in a home where it will be the only pet or the are no cats. There are many ways that people can help with rescue besides offering a foster home for a dog in need. Some of these include: monetary donations, donations of items to raffle or auction, donations of food/bedding/toys, and sponsorship programs. All Rescue organizations are not created equal, so just like you need to research to find a responsible breeder you should do some research into the rescue organization you choose to adopt from. Each Rescue organization will have a different philosophy so you should make sure you support/adopt from one that is inline with your philosophy as well. Below are some links which you might want to visit if you are considering buying a Papillon or adopting one from Rescue. 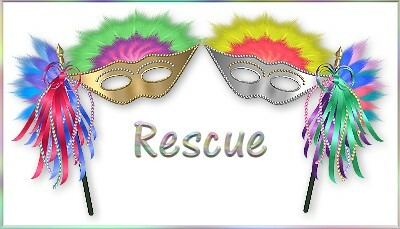 Click the button below to see some of the Papillons I have fostered for Rescue.